Complete this request form if you would like to reserve a Hands-on-History Tub. Eighteenth-century women tied on pockets under their skirts and reached through slits in their petticoats to retrieve items. This lady’s pocket contains a fan, wig curler, sewing implements (needle case and wax animal), coins (pieces of eight), seal and wax, Aesop’s Fables playing cards, and receipt (recipe). Comes with a complete Teacher Guide with lesson plans, worksheets, a glossary, and graphic organizers. 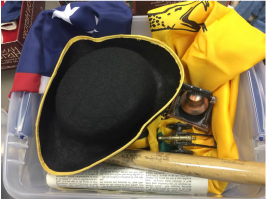 Excite your students’ imaginations with this kit: a powder horn, three strings of trade beads, swatches of deer skin and red wool broadcloth, pieces of trade silver, small wooden spoon, musket ball, and a teacher guide all stored in a cotton canvas bag like those used by eighteenth-century American Indians. Comes with a complete Teacher Guide with lesson plans, worksheets, a glossary, and graphic organizers. to carry their rations ​and personal belongings. a pennywhistle, musket ball, flint and steel, tin cup, cockade, and teacher guide. Eighteenth-century enslaved people often carried their personal belongings in a bag or basket. of stockings, ​and teacher guide. were used to inspire Americans to fight for independence from Great Britain. of this critical piece of American History. The “pilgrims” were the first English settlers in the area that would become Massachusetts. This tub includes personal belongings from the voyage and other “arti-fakes” from the early days in Plimoth. Archeologists at the site of the original James Fort have uncovered amazing artifacts that help us understand the settlement’s history more clearly. 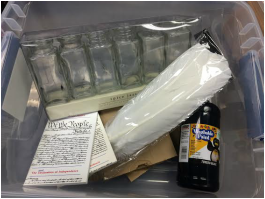 Use the materials in this tub to create an archeological experience for your students. These reproductions of Indian artifacts provide the means of stimulating interests in and promoting an understanding of the original inhabitants of North America. 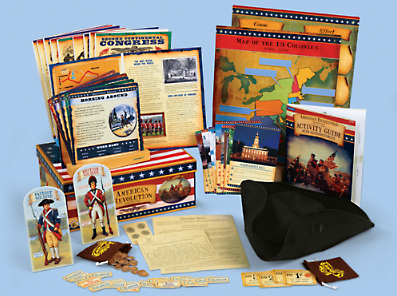 These ready-to-use teaching tools integrate art, language, math and science into learning about the American Revolution. These ready-to-use teaching tools integrate art, language, math and science into learning about the states and regions. 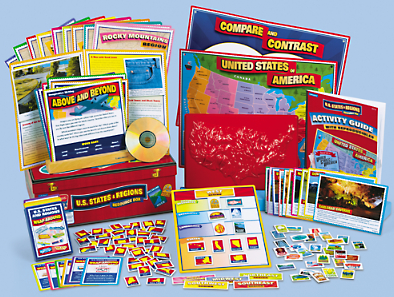 writing prompt cards, regional photo cards, dry-erase reading comprehension folders, dry-erase graphic organizers, magnetic sorting chart with 93 magnets, U.S. map mold, wrap-around trivia game, patriotic songs CD, and a Teacher Guide. These ready-to-use teaching tools integrate art, language, math and science into learning about the Age of Exploration. 3-D timeline, realistic spices and silk, and a Teacher Guide. 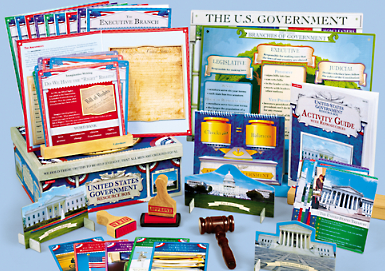 These ready-to-use teaching tools integrate art, language, math and science into learning about the U.S. Government. ​a checks & balances flip book, and a Teacher Guide. These hands-on resources are available for check-out by Putnam City teachers.